A stabbing victim found at Bentley Bridge is recovering from his injuries, say police. Police have appealed for witnesses to come forward after a man was attacked. The victim was found injured at the retail park, in Wednesfield, Wolverhampton, on Sunday afternoon. He was taken to hospital for treatment but West Midlands Police say his injuries are not thought to be life-threatening. 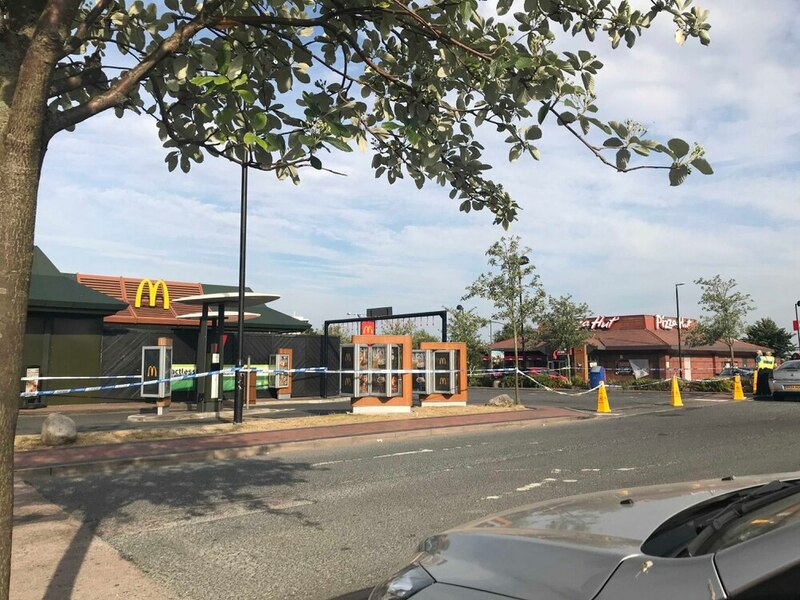 Police cordoned off an area close to McDonald's at around 2pm as an investigation got under way. The restaurant remained open but the drive-thru and footpaths outside were cordoned off. Officers patrolled outside the eatery but other shops and outlets on the retail park were unaffected. Police confirmed an investigation continues and asked anyone with information to call 101; quoting log number 1592 of 1/7/18.